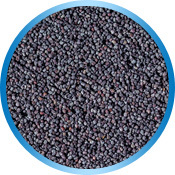 Melbake’s poppy seeds undergo the process of thermal stabilization which guarantees repeatability and uniformity of a batch. The product is distinguished by the excellent quality and meets the criteria even of the most demanding clients. 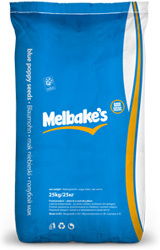 Melbake’s poppy is one of the elementary ingredients in baking and confectionery industry. The product is available in packages of 25 kg. The poppy is characterized by the high content of vitamins from the B group and also a lot of mineral substances such as zinc, phosphorus, manganese, iron, selenium and potassium. The poppy is also one of the richest natural sources of calcium and magnesium. It also provides the organism with omega-6 fatty acids and phytosterols, which decrease the level of bad cholesterol in the organism, protect against sclerosis and support the heart.